IN Pakistan, the change of guards at the helm of affairs took place in August 2018. Considerable discourse has taken place on governance, especially on economy. Innumerable ministers, advisors, assistants, committees, experts have been appointed. Media proactively participated with news and views on economy along with the statements of international donors and advises from the visiting dignitaries in print, electronic and social media. Solutions after solutions, being implemented to create additional revenues to meet the government spending causing inflationary burden on citizens which is giving rise to dissatisfaction and even disillusionment. The burgeoning cost of living increases is bringing in new forms of corruption. Despite prevalent democratic dispensation with open media, Parliament and laws such as right to information, nation is groping in dark on quantum of various security assets. We shall here focus on the most important security asset – the water. Water is life giving and life sustaining. Food sourced from agriculture requires fresh water. The source of fresh water are rains, snow melt, rivers. 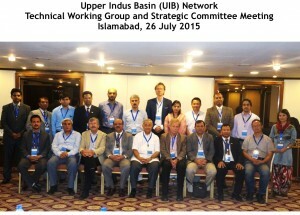 We are mainly dependent on four rivers – Indus, Kabul, Jhelum and Chenab. We have Indus River System infrastructure, even though old and outdated; we have1960 Indus Water Treaty which partitioned water by assigning most of the water of Sutlej, Beas and Ravi for use by India while Indus, Jhelum and Chenab for Pakistan. Notwithstanding the fact that we have telemetry installed in our Punjab province for measurement and reporting of water flows into barrages and canals; we continue to have manual measurement and reporting in Sindh, Balochistan and KP for the water flows. 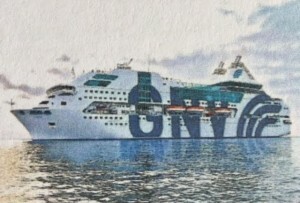 These systems, whether technology based or otherwise, are subjected to political and administrative influence resulting in manipulated reporting beyond imagination and understanding of not only of the common citizens, but even of technical professionals, executive and political leadership. Data manipulation resulting in incorrect and misguiding figures of water flows, as well as water losses causes inaccurate assessment of real status of water, an important security asset. Human societies are best governed by trust which emanates from well-designed management systems to deter mischief and manipulation. The first step towards eliminating it is to take the readings of all indicators when new management takes over. 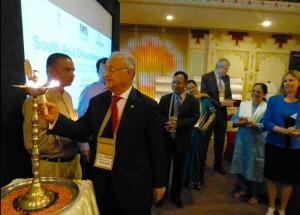 Even though many months late, it’s never too late to make honest endeavour by putting in place system of Water Accounting and Audit (WA&A) which is key to water resource management, specially in countries like Pakistan where water scarcity looms large with associated risks and uncertainties for teeming millions. I understand, WA&A has never been undertaken in Pakistan even though Sindh requested IRSA for water audit. Worldwide, WA&A is considered vital element of planning procedure and is practised extensively in societies desirous of developing their water economies. In 2016, United Nations Food and Agriculture Organization (FAO) released its Water Report 43 which Water Accountability and Accounting sets out the concepts of WA&A and provides practical advice for its planning and implementation. Strategies addressing water scarcity need to be based on a thorough understanding of the water balance, including water supply and demand and its spatial and temporal dimensions. 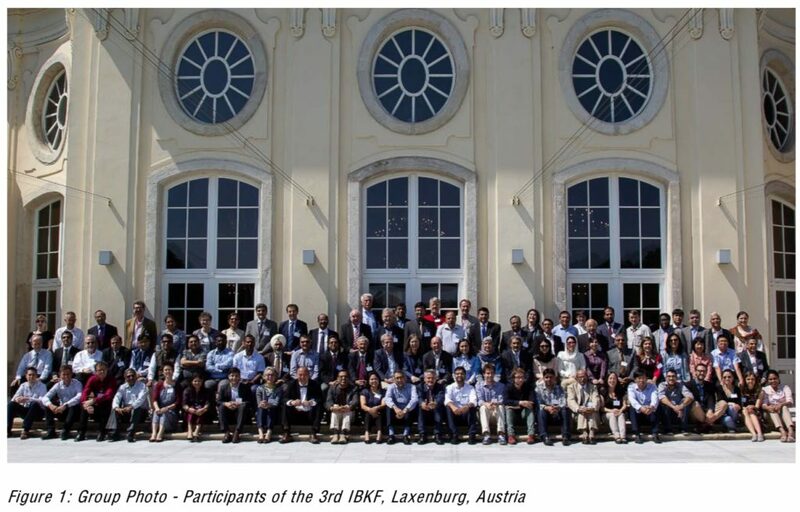 This can help achieve the objective of better use of water related information for matching and adopting strategies to differing biophysical and societal contexts. Water accounting is the systemic study of the status and trends in water supply, demand, accessibility and use in specified domains. Water auditing on the other hand is a step forward by placing trends in water supply, demand accessibility uses in broader context of governance, institutions, public and private expenditure, laws and wider political economy of water in specified domains. Besides aligning the needs and priorities of key stakeholders, WA&A can bring standardization for rapid water accounting through remote sensing for productivity and trust building between the provinces. We do not need to invent the wheel since FAO has applied these in various river basins. In November 2017, FAO released a comprehensive ‘Water accounting and auditing – A sourcebook’ which can guide us in protecting this vital resource to enhance our security. The adoption of this kind of open and transparent system will result in needed standardized system in all the provinces within Pakistan for adopting strategies for making raw data, outputs, findings and recommendations for implementing in letter and spirit the 1992 Water Apportionment Accord between the provinces by Indus River System Authority (IRSA) and water decision making by Council of Common Interests (CCI). It is pertinent to recall that a similar situation existed in stock exchanges in Pakistan. However with introduction in the 90s, one of the most comprehensive and successful Central Depository System (CDC) developed in Pakistan by private sector; which today is handling millions of transactions in Pakistan Stock Exchanges and considered reason for growth of stock market over the years. Once we have water accounting and auditing system in place, we can even introduce Water Exchanges like in Australia for trading the allocated water of users for efficient use of invaluable water resource. In the last several years, we have witnessed the axe of accountability falling on politicians, bureaucracy and business persons; but we have not heard of any significant accountability of water mismanagement or misappropriation. Does this mean that the water sector is free from irregularities? If it was, water demand and supply would have been met and scarcity not a challenge. 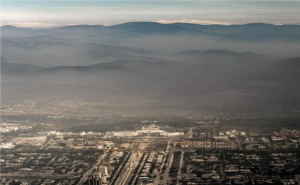 The WA&A is just one way to account for our approximate 144 million acre feet (MAF) of surface water annually available to Pakistan on an average by nature. If accounted and audited well, the required environment flows to sea will help marine life and combat the climate change effects of the sea eroding the agriculture fertile lands along the 1100 km coast with 350 km in Sindh and 750 km in Balochistan. Can we do it? Yes, we can with decision makers genuinely realizing the importance of water and all stakeholders bringing the necessary pressure on the decision makers they have sent to assemblies and government. The government need to take initiative in bringing all stakeholders on one platform and put an end to the age-old contest and acrimony amongst the provinces to bring amicable solution with win-win for all. 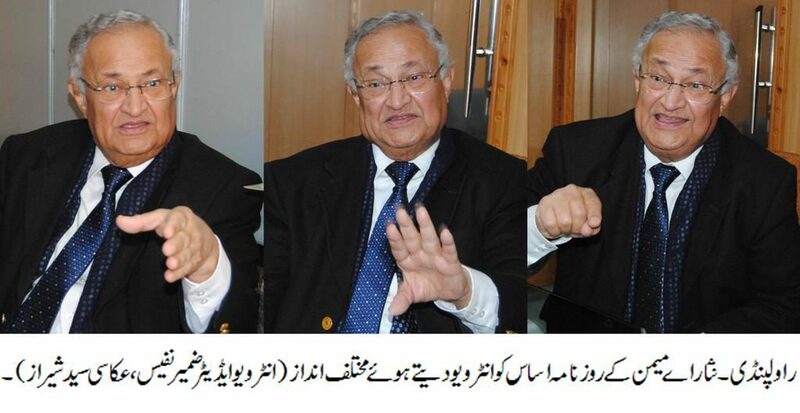 — The writer is Former Federal Minister & Senator, Chairman: Water Environment Forum, Pakistan. JINNAH led the Muslims of the subcontinent to pass the historic Pakistan Resolution in 1940 which resulted in creation of a sovereign nation, seven years later. In all these years, we have come a long way but lot remains to be done. Our challenge is the sustainability of our four capitals namely: natural capital- water, biodiversity, climate; human capital – health and skills of citizens; social capital — institutions and trust; financial & physical capital — infrastructure, housing, financial, and wealth. Water is one capital, which is life giving and life sustaining. UN recognized this and announced March 22 as World Water Day which is being observed since 1993. A quarter of century has passed, yet one billion humans in this planet still remain without safe drinking water. Every year, a different area of water is highlighted by a theme. This year the theme is: ‘Leaving no one behind’. For us, it should be a day to make a resolve like we did in 1940 that none of the 220 million, governed by the Constitution of Pakistan, will be left behind in so far as the water in concerned. Water being fundamental to sustainability of life, yet we continue to face water challenges in ways more than one. Today, all around the country, this day will be observed by various institutions including: governments, NGOs, INGOs, universities, businesses; mostly in comfortable city surroundings with government making policy statements and recounting their achievements. They will point out to scarcity of water, increasing demands due to population, reduced supply due to high transmission losses, climate change causing glacier melts, reduced level in storages and ground water with not enough water charging, no consumption wastage control, weak governance with institutional weaknesses and not enough investment in old water infrastructure, reduced flows from Indus and Kabul Rivers due to upper riparian water diversion and utilization. Many speakers will repeat figures and talk about stakeholders. However, the real stakeholders the bulk of people with non-availability of clean drinking water will not be there since these 220 million stakeholders are spread around 881,913 square kilometres of landmass from glaciers through the plains and desserts to sea. We have had plenty of water flowing from rivers and stored in our glaciers but like all assets if not protected will reduce causing hardships to the people dependent on it. What is needed is to implement policies and rules laid down so far for water management and create awareness amongst all. This will help achieve the constitutional obligation of human fundamental rights as well as help implement UN Sustainable Development Goals (SDG) we are committed to as citizen of the world by 2030. The SDG 6 for Water & Sanitation, SDG 12 for Responsible Consumption and Production, SDG 15 for Life on Land as well as other SDGs too is kept in focus. Apart from this, we need to adopt short-term immediate plans and commence long-term plans. Key Short-term Immediate Actions needed are: control of transmission water losses equivalent to 3 large dams, initiating reforms in governance for productivity, introducing water pricing for cost recovery, launching massive awareness campaign and upgrading the current infrastructure. 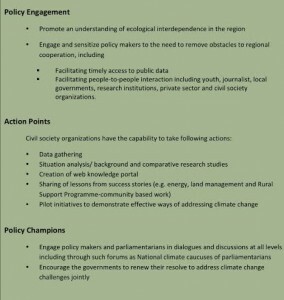 The Long-term Actions which must be initiated forthwith are: commence building storages, invest in all four capitals: natural, human, social and financial, encouraging science based planning using technology, identifying good practices within country for national and regional trust building, moving away from dividing water to benefit sharing of water amongst the provinces and transboundary neighbours. The Indian intrusion into the international borders of Pakistan is condemnable and no sovereign country and people will accept this on any pretext. Indian must accept Pakistan as neighbor without its continued interference in its internal affairs by state sponsored terrorisms witnessed in Balochistan where it was caught red-handed. The fact that yesterday the Indian Air Force planes had to hastily retrieve back without causing any damage, speaks of their inability to stand the alert forces of Pakistan armed forces. Pakistan has the capacity and capability to respond to any aggression. We commend the Pakistan AirForce pilots tohave defended our sovereignty against all aggression by shooting down this morning the two Indian Air Force planes and arresting the Indian pilot. I join the people of Pakistan in condemning this act of hostility of India and ask them to be ashamed of plunging their country and the region in confrontation rather than working to improve the economic condition of their people living in abject poverty. OIC invitation by the host of incoming meeting UAE to Indian Foreign Minister is a diplomatic trap India has laid amongst the Muslim Ummah which Muslim leadership must recognize and retrieve the invitation forthwith to protect Muslim interests, specially the unarmed Kashmiris fighting for their liberation from the illegal occupation of heavily armed military machinery of India in occupied Kashmir. 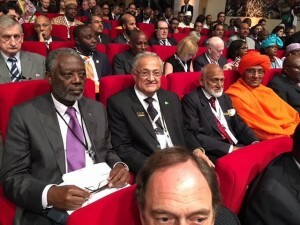 In the past, such efforts of India have failed and I remember that in 2002 when I represented Pakistan in OIC Foreign Minister’s Conference in Khartoum, we persuaded Qatar to withdraw its resolution to admit India in OIC. Time has come to again defeat India’s entry in OIC, in any form. Let me remind our brotherly Muslim country UAE, that they should not succumb to this Indian machination which tantamount to rewarding Indian for its killings of thousands of Kashmiri Muslims as well as its aggression against Pakistan. It is a pleasure to be at the Institute – a place of learning, in an august gathering with distinguished speakers, among them – an accomplished soldier, a fine diplomat and man of letters, on an occasion of book launch on an important subject. Various subjects are addressed in the book but I shall briefly comment on Hindutva & Hindus, Security & Intelligence, Water & Climate Change, India & its neighbors. Hindutva history of over a century, its actions, impact and myths have been documented in this book in a scholarly manner giving reference of Hindu writers and their books. The Indian Constitution, given by its founding fathers, clearly envisages a socialist, secular and democratic republic. However with the rise of Hindutva to power we see India’s transition from its multi-religious heterogenous culture to Hindu Cultural Nationalism, striking at the very foundation of its Constitution. Hindutva has been used as a creed to get political control, like many other extremist philosophies like Nazism, Zionism, and Daesh. Worldwide, the intelligence plays a vital role in foreign and security matters. The author has studied and analyzed it with specific mention of Ajit Doval the Indian NSA who is a key practitioner of Hindutva towards destabilizing the region with terror operations. In line with the Chanakyan guile & deceit, India has extensively used and using state terrorism as means to achieve its hegemony in the region. Book deals it in great detail and makes assertion that RAW has used communication including the fiction writing, cinema, false flag operations as ‘weapons from its arsenal’. Challenges like river water, environment & climate change can best be addressed for the benefit of two countries by a dialogue. It was in 1960 that the two countries inked Indus Water Treaty after a protracted negotiation to end the water disputes that erupted after 1947 independence. IWT which survived several wars, and referred as a model of water division, came under full attack when Hindutva regime came to New Delhi after the last elections. The book has dealt this under title ‘Unleashing water terrorism on Pakistan’ and goes on to share the threatening statements by Hindutva PM Modi who even gave ultimatum in 2016 to use ‘water as a weapon’. In foreign relations, India’s record with its neighbors is dismal and disappointing. India did not rest with annexing part of Jammu & Kashmir and Sikkim by force and deceit, but created disputes with all other neighbors, powerful or weak. This book gives glimpses of how Hindutva elements in Indian polity have impacted relations with China on Doklam Bhutan, Xinjiang, Tibet and South China Sea. Chapter 11 takes the reader on a tour of troubled Region and shows the involvement of Hindutva creating disputes of India with all its neighbors Bangladesh, Bhutan, China, Myanmar, Nepal, Pakistan & Sri Lanka. The tour includes BRI & Maritime Silk Road initiatives of China, even these development initiatives are being targeted by Hindutva leadership. I will say he is a Pakistani – East, West, South and North all emboded in one. He is recognized, for his contribution to foreign policy, foreign relations and security subjects, irrespective of governments in Islamabad, and is our China expert. Above all he is a Humble human being: Researcher, historian, man of letters, and a diplomat. People of India are again going for elections and will decide their future. Whether they will go the path of peace, prosperity, development or war, misery, and deprivation is for them to decide. I quote from my Introduction in the book, “It is for Indians to decide about their destiny but Christians in the region, Buddhist of Bhutan and Muslims of Bangladesh, India and Pakistan need to take cognizance of this creed for protection of their faith, sovereignty and future”. People of my generation who desire peace between the two countries are now asking: ‘Will the peace, between the two countries, come in our life time.’ If not, than the coming generations – who have neither known each other and are fed on propaganda and fear – how will they achieve the peace? Although 70 years have been lost, we still can make amends and bring the much needed peace for our people. 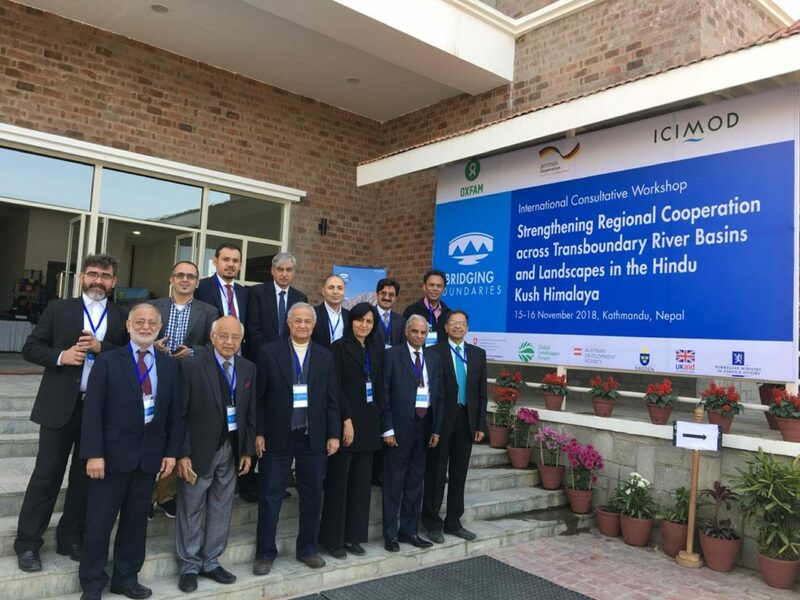 Pakistan members at HKH Transboundary Cooperation International Consultative Workshop organised at ICIMOD Headquarters. 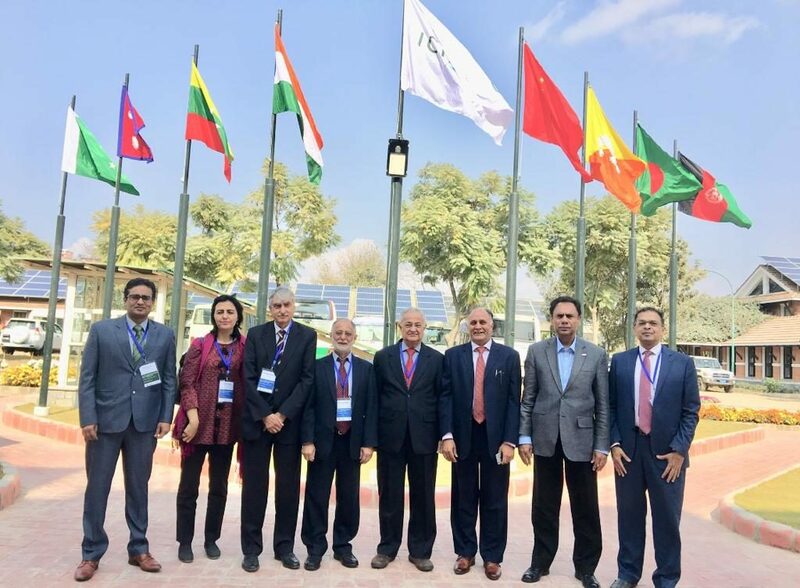 November 14-15, 2018, Kathmandu: Pakistan delegates at 1st HKH Science-Policy Forum hosted by ICIMOD where HIMAP was discussed. 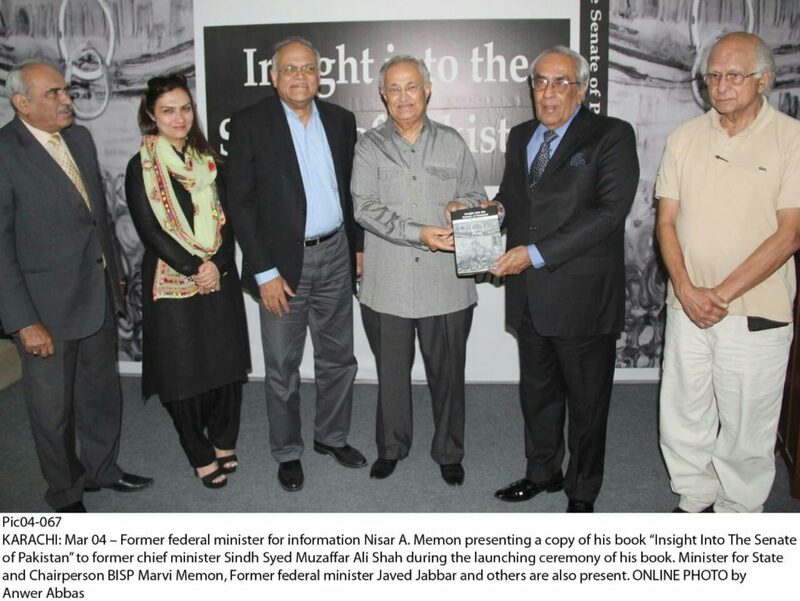 March 4, 2018; Karachi: Nisar A. Memon launches his book “Insight into the Senate of Pakistan” The launch venue was N.J.V. School where the Senator went for his schooling. 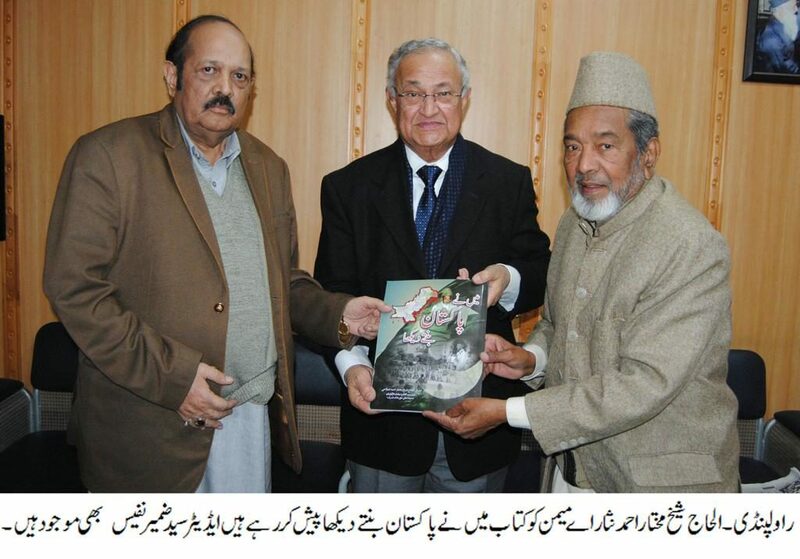 The proceeds of the Book launches in Islamabad and Karachi were contributed to N.J.V. School. 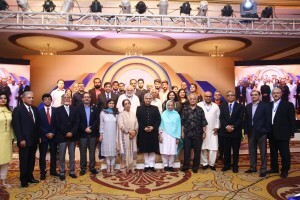 The meeting was addressed by former Pakistan Federal Minister and Senator Javed Jabbar, former WB Economist Tariq Husain , former Chairman WAPDA Syed Raghib Abbas Shah, Minister of State & Chairperson Benazir Income Support Programme MNA Marvi Memon, former Sindh Chief Minister and Speaker of Sindh Assembly Senator Muzaffar Hussain Shah, representative of Youth Ms Haneen Moosa with a poem, and the author Nisar A. Memon. Published in Dawn, March 5th, 2018 ……………………. KARACHI: Merely a day after the Senate elections kept many busy contemplating over the results, former senator Nisar Memon’s book, Insight into the Senate of Pakistan, was launched at the NJV School, where former and current parliamentarians, intellectuals, academics and members of civil society were present. “This book is all about national security because national security is not just about conventional security we talk about, ie defence and defence protection. 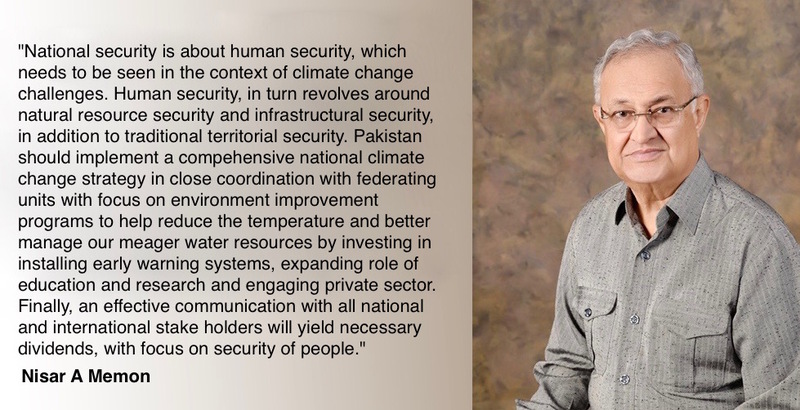 In addition to this, the water sector, the environment, climate, economics and social contributors also form part of the national security of Pakistan,” said Mr Memon. This book also charts the hopes and expectations Mr Memon has of the leadership of the country. “I would like to discuss and engage with the leadership of the country, debate with them as well as work with them to achieve the dignity of our people and strengthen the institutions of Pakistan,” he said. “A long, overdue contribution to the relatively limited literature by parliamentarians on parliament in Pakistan,” said former senator Javed Jabbar about the book. He hailed the publication as a reflection of Mr Memon’s exceptional degree of sincerity, intelligence, and an analytical and constructive approach to the Senate and its issues. “It is a genuine attempt to strengthen and embolden the institution of democracy, an institution that is very important for the federation of Pakistan,” he said. Mr Memon’s daughter Marvi Memon, who has served as the chairperson of the Benazir Income Support Programme and a member of the National Assembly of Pakistan since 2013, was also present at the book launch. She spoke about how the book was relevant to the recent Senate elections. “We, the future politicians of Pakistan, should be able to make positive contributions to parliamentary democracy and make a difference. The new generation can learn a lot from his book. My father’s book demonstrates that his thought process for the state, the country, the flag, is much higher than any political considerations,” she explained. Senator Syed Muzaffar Hussain Shah, who was re-elected in the Senate election held on March 3, also spoke at the launch and recalled his decades long association with Mr Memon; he lauded his untiring efforts to carve a place for himself in the political arena of Pakistan. 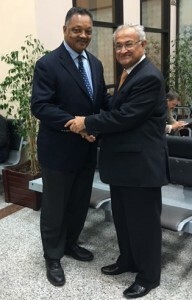 Senator Shah said that in any position of power, when part of the executive branch of the government, senator Memon made significant contributions be it in the field of water, environment, literacy, defence and security or climate change. “His book provides insight into how the Senate works,” he explained. 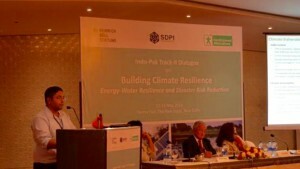 Former chairman of Wapda Raghib Shah and Tariq Husain, who has worked at the World Bank for 30 years in public policy formulation and implementation, also spoke at the event. 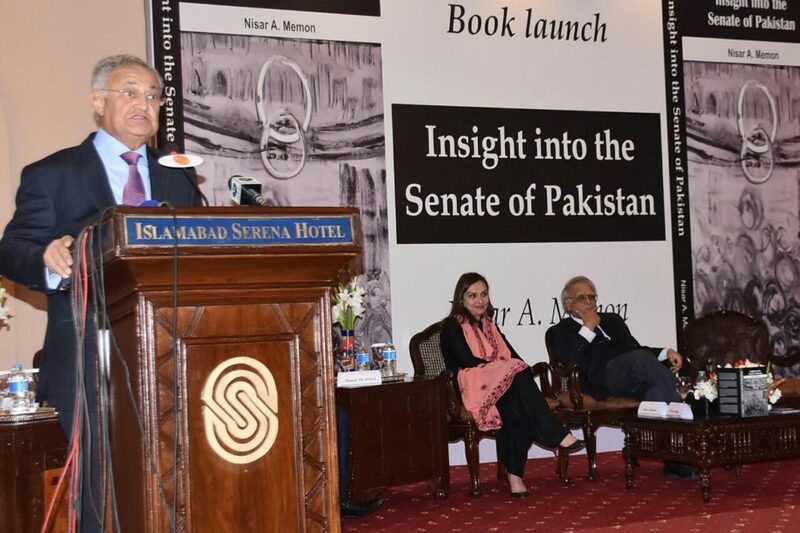 March 4, 2018: The book titled ‘An Insight into the Senate’ is set to be launched at a ceremony to be held in Karachi on March 4. The book has been authored by Senator Nisar A Memon, who has also been a former Federal Minister for Information and Broadcasting. The speakers on the occasion would include former Federal Minister. Javed Jabbar, ex-Chief Minister Sindh and Senator Syed Muzaffar Hussain Shah, Tariq Hussain and Raghib Shah. It’s in the fitness of things of that the book is being launched in Karachi one day after the Senate elections being held on March 3, as 52 senators will be completing their six-year term on March In the book, Nisar Memon, who has remained as Senator for six years, gives an insight into the working of the Senate with special reference to National Security which includes various aspects like water, climate, environment and defence. As Senator, he was the Chairperson of the Standing Committee of Senate on Defence and Defence Production and the Parliamentary Committee on Water Resources. He was also a member of the Standing Committees of Senate on Foreign Affairs, Finance and Economic Affairs and Housing and Environment Committee. The first launch of the book was held in Islamabad and the author has selected Karachi as the second venue for the launch of his book. February 17, 2018; Islamabad: Nisar A. Memon launches his book “Insight into the Senate of Pakistan” The meeting was addressed by former Pakistan President & Chairman Senate Wasim Sajjad, Shoaib Sultan Khan, Chairman Rural Support Program, MNA Marvi Memon, Minister of State & Chairperson Benazir Income Support Programme, Iftikhar Ullah Babar former Secretary Senate, Hanan Abbasi President National Youth Assembly and author Nisar A.Memon. The book review comments have been made by: Sartaj Aziz Deputy Chairman Planning Commission; Farooq Naek former Chairman Senate; Sardar Masood Khan President of AJK; Roshan Barucha former: Senator & Balochistan Minister and Waqar Masood former Finance Secretary. 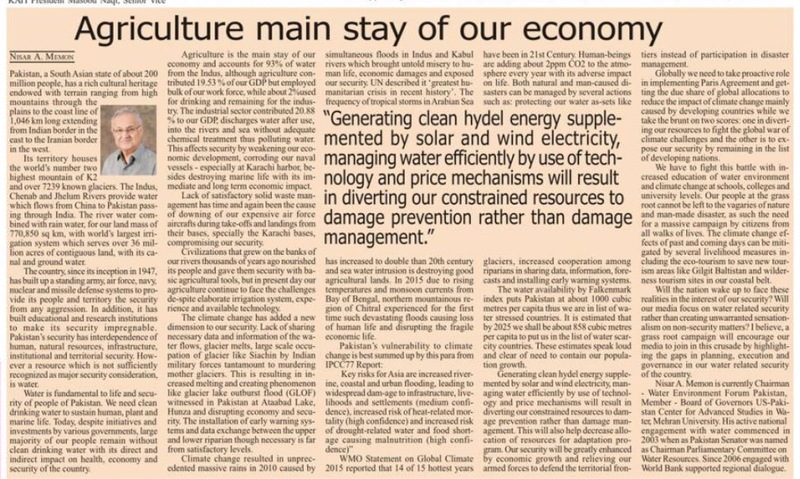 August 1, 2017; Islamabad: Nisar A Memon article ‘Pakistan’s Water Security’ published in Pakistan Observer today. 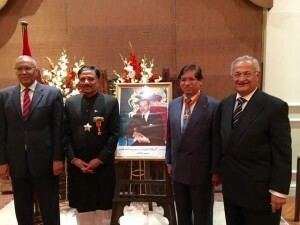 November 26, 2016; Islamabad: Nisar A Memon at International Association of Lions Clubs Islamabad on the occasion of Charter Presentation Ceremony to Leo Club. WEF Conference on Climate Change was held as planned from 17th to 19th October 2016 in Islamabad. 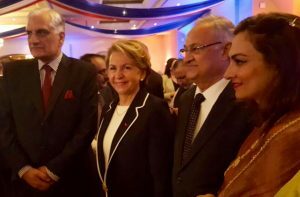 July 14,2016 Islamabad: National Day of France hosted by Ambassador of France H.E. Martine Dorance. On her right is H.E. Zahid Hamid Federal Minister of Law and Climate Change and on extreme right is Chairperson BISP Minister of State Marvi Memon. 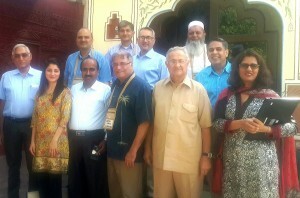 June 2016, Jaipur; South Asia Groundwater Forum Pakistan delegation with Rafik of World Bank from left to right 1st row: Shahid, Laila, Zakir, Rafik, Nisar, Ali, Hina and in 2nd row: Riaz, Arif, Hammad, Nawaz. 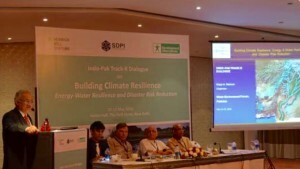 Delhi 12-13 May, 2016: Nisar A Memon addressing Plenary Session of Indo-Pak Track II dialogue on building climate resilience, energy water resilience and disaster risk reduction. 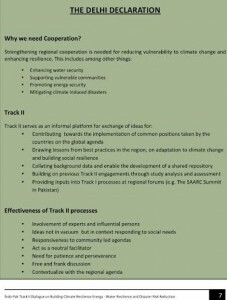 The Delhi Declaration of Track II Dialogue. 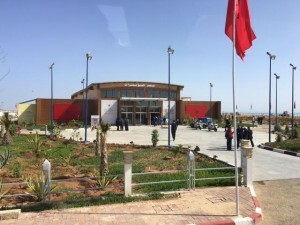 Former Federal Minister of Information, Nisar A. Memon, invited by the Government of Kingdom of Morocco to Africa, South-South Cooperation at Crans Montana Forum, Dakhla from 17th-22nd March, 2016. 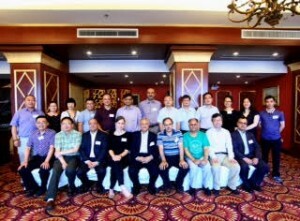 Nisar attends Mountain Future Conference in Kunming, China from 1st to 4th March 2016. 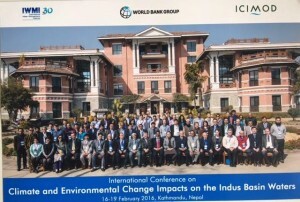 Feb 2016: Nisar visits Bhutan with ICIMOD management and later attends Indus Basin Forum in Kathmandu, Nepal. 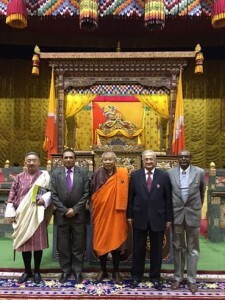 Nisar A Memon with Speaker of Assembly of Kingdom of Bhutan and in next picture with former Prime Minister & Agriculture Minister. 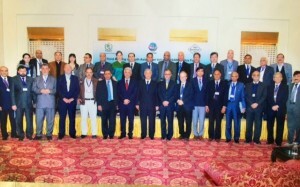 March 2015 Group photo at South Asia Water Initiative (SAWI)- Indus Basin Forum Conference at Lahore. 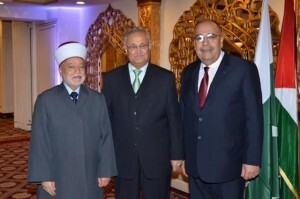 Islamabad 2016: Reception for Grand Mufti of Al-Aqsa Mosque by Ambassador of Palestine H.E. Mr. Walid Abu Ali.